The primary ingredient in my Corned Beef Brisket. Two cans for the feast and two for the beast chef! Six pounds of corned beef and as much cabbage, carrot and “potatoe” you can stuff into a slow cooker. Add garlic and salt to taste. 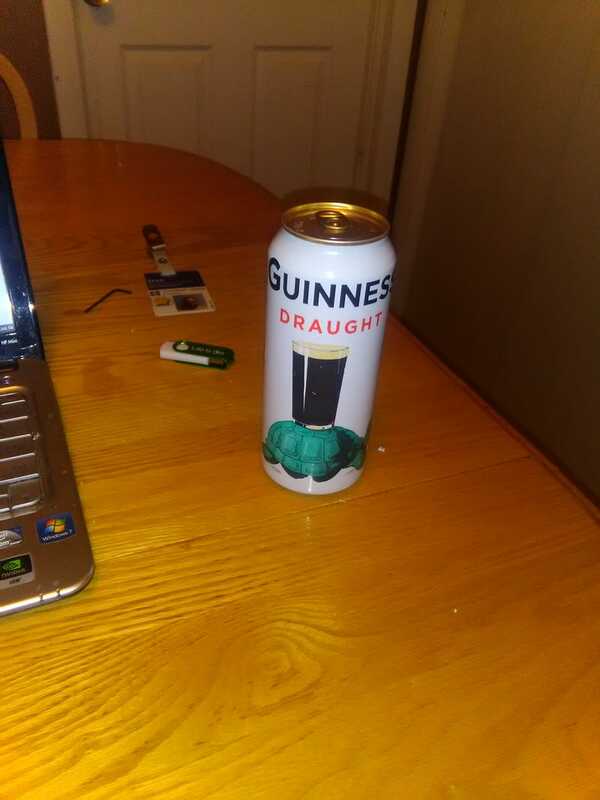 Then drench it all in Guinness goodness. The real fun starts after St Pat’s. When the supermarkets discount this horrible, cured cut of meat to pennies on the dollar.